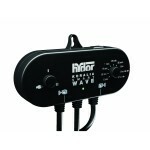 All Ponds Solutions have become one of the leading aquarium equipment and accessories manufacturers here in the UK. 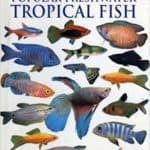 Their products are often cheaper than many of their competitors, which makes them an ideal purchase for many aquarists. Here I will be reviewing the All Pond Solutions Wavemaker WM-2000, which is the lowest model in the All Ponds Solutions wavemaker range. Wavemakers have sparked much debate among hobbyists as to how much you actually need one but one thing is for sure and that’s they go a long way in increasing oxygen exchange at the surface by causing water agitation and if pointed inwards they help move fish waste and other debris towards a filter intake and thus out of the aquarium. 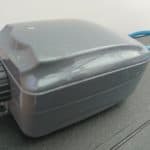 Although wavemakers were primarily used in saltwater set ups they have become very popular in freshwater sets up too and help aquarists get rid of “dead zones” in the aquarium where there is little to no water movement thus avoiding debris build up in these areas. The first thing you notice about this product is how small it is. The actual unit is around 6-7cm long and whilst the suction clip adds a bit more length it barely takes up any space in your aquarium. 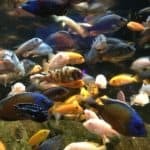 This is great news, particularly for those of us with smaller to medium sized aquariums, not to mention you don’t want to make your aquarium unsightly with all sorts of pipes, cables and equipment visible. I want to stress though that despite it’s small size this is a powerful piece of equipment pushing out 2000 liters per hour. 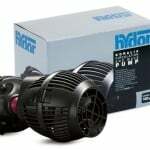 With that type of output this is really best used in aquariums of at least 180Liters (freshwater setup) but can be used in smaller saltwater aquariums due to marine fish preferring strong water movement. 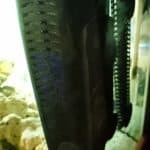 Wavemakers are equally ideal for African Cichlid setups because they are usually overcrowded to reduce aggression and also the fish appreciate the stronger water movement. 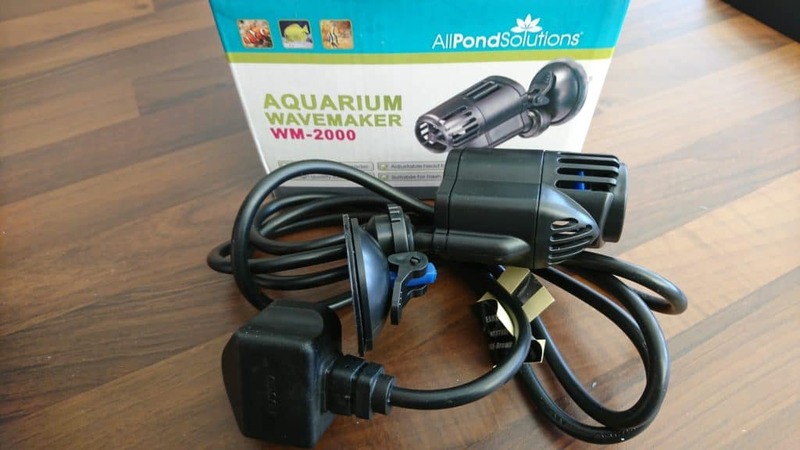 If you have fish that don’t’ like strong water movement and/or your aquarium is too small then a more suitable option for you is using an air-pump and air stone instead. 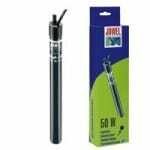 This is a powerful yet small unit and does a great job in increasing water movement and surface agitation. Due to it’s size it can be mounted in the corner and be barely visible, making the fish and decorations the center of attention and not the equipment. 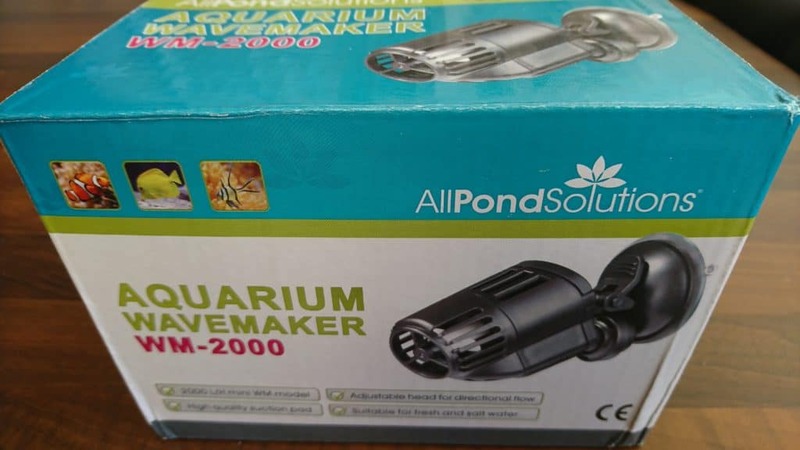 All Pond Solutions WM-2000 is certainly reasonably priced at £14.99 it is cheaper than many of the wavemakers on the market making it a great buy for your first wavemaker. This product is for you if you need to increase oxygen and water flow in your aquarium, particularly useful in marine setups and freshwater fish that prefer strong water movement.